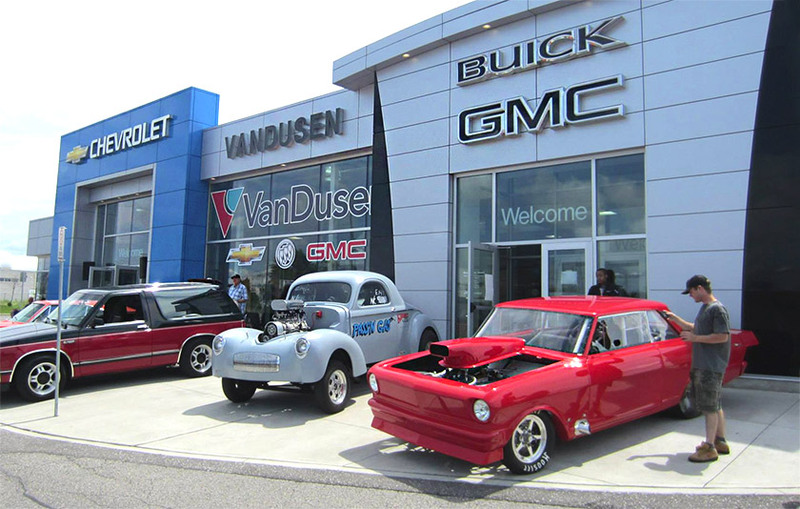 Board of Trade Business Excellence Awards – VanDusen Chevrolet Buick GMC nominated for Large Business of the Year! The Team at VanDusen Chevrolet Buick GMC is honoured to have been nominated for the Ajax Pickering Business Excellence Award in the category of “Large Business of the Year”. These prestigious awards mean something to us here – simply being nominated means something. It notes that the way we are running our business and supporting our Durham Region community is being noticed and that makes us proud. The Large Business of the Year category consists of businesses that have 50+ employees – we have just over 60 team members. In our category it’s a kind of “David and Goliath” face off with just 2 nominees – VanDusen Chevrolet Buick GMC and OPG. Ontario Power Generation (OPG) produces more than half of the electricity that Ontario homes, schools, hospitals and businesses rely on each day. They’re committed to ensuring our energy production is reliable, safe and environmentally sustainable for Ontarians today and for the future. It’s a provincial Crown Corporation that employs over 12,000 people in Ontario and are good corporate citizens helping support communities throughout Ontario. We feel honoured to be nominated alongside them. We wish them luck, but not too much! So remember the story of David and Goliath… ya just never give up because ya never know!